This Powerplus product is very competitively priced, and well worth a closer look. 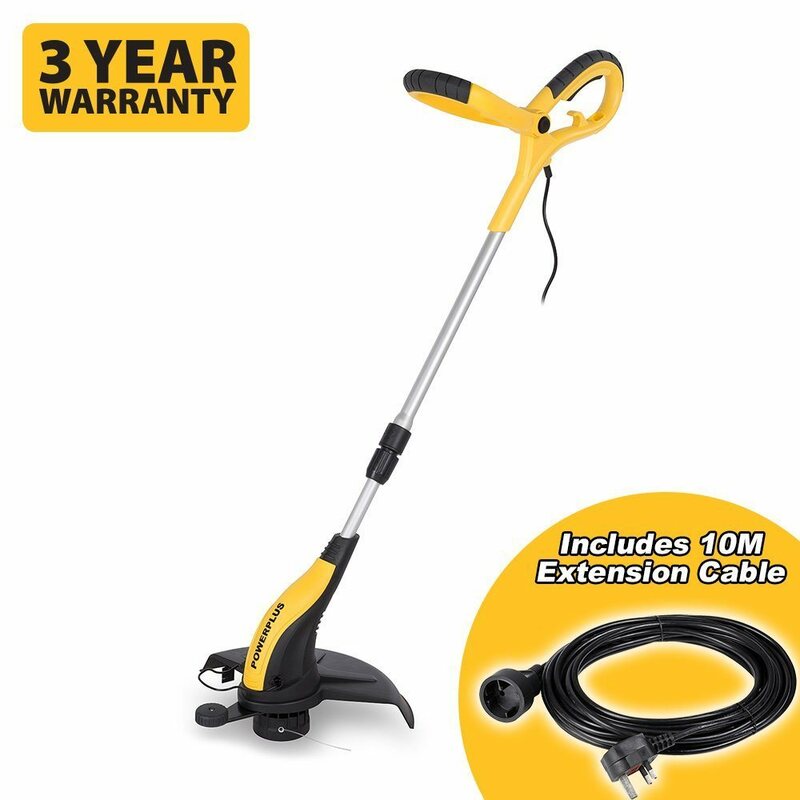 The Powerplus POWXG30033 uses an automatic line feed system, comes with two 4 metres spools, and a 10 metre extension cable. All this for around £50, no wonder is is highly rated by buyers. They give it a rating of 4.8 out of 5 stars, which is right at the top of the pile. 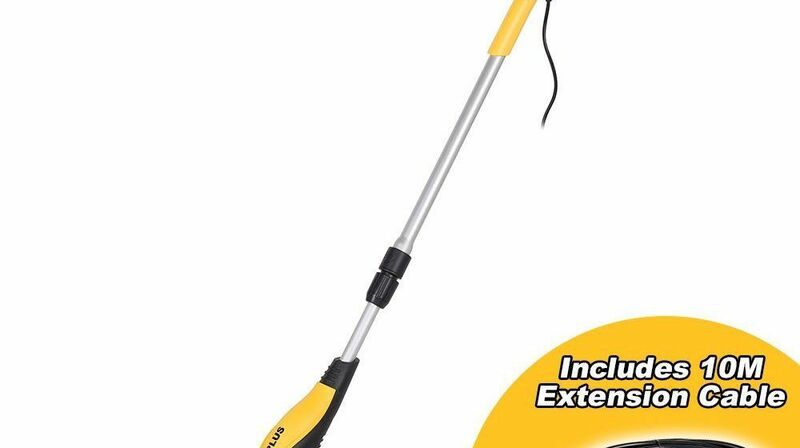 It also has a telescopic shaft and that means you can adjust the length of this grass trimmer to suit your height. That is also really useful when trimming grass on a slope. This was not a brand that I was that familiar with, but buyers clearly seem to like it, hence the very high average rating. This may be a relatively new brand to the UK market but has already achieved a 96% satisfaction rating. You certainly get plenty for your money, and I think well worth your consideration. 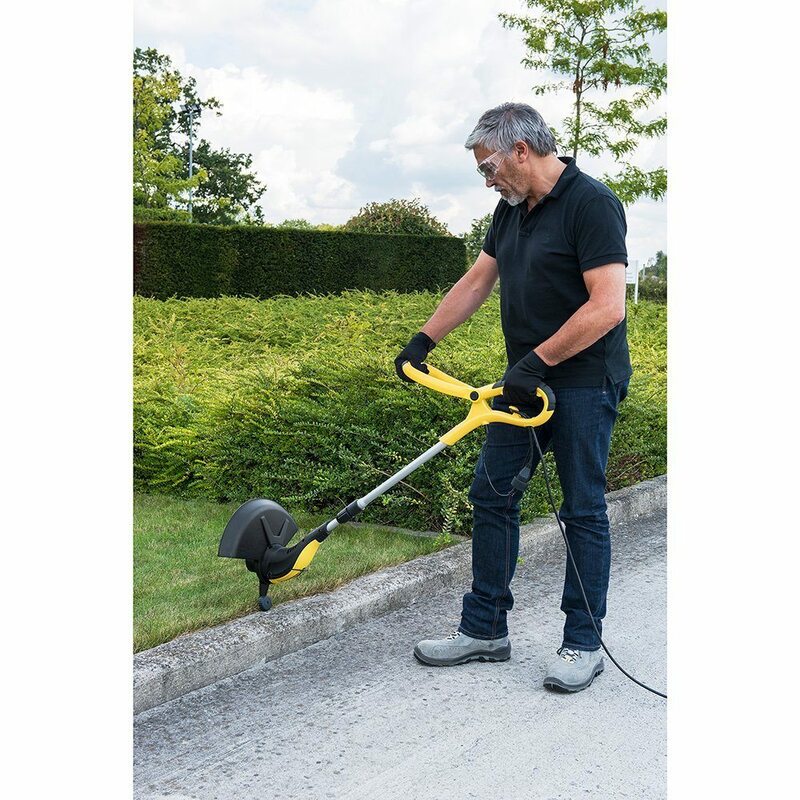 If this is not the perfect corded trimmer for you, then click here to see out top rated list of trimmers.